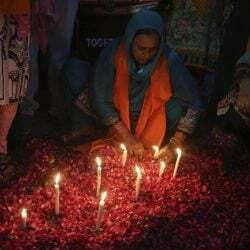 All will be monitored in the hospital for 7 days and then rest at home for another 30 days after their ordeal of being trapped in a cave. 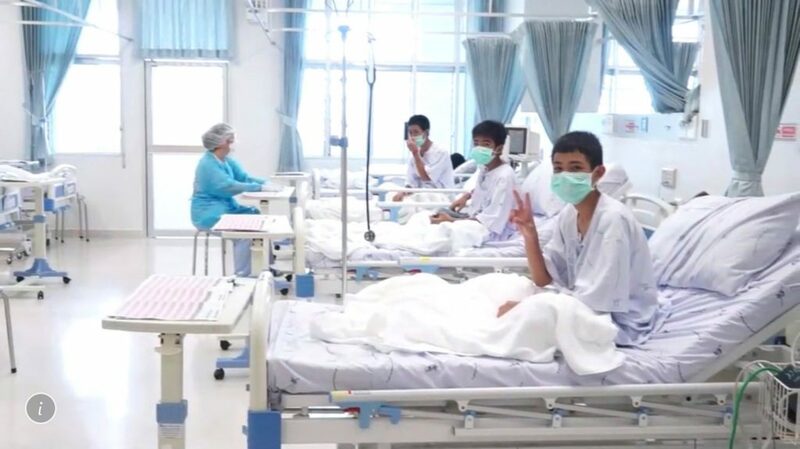 MAE SAI, Thailand – As ecstatic relatives watched and waved from behind a glass barrier, the 12 boys and their soccer coach rescued from deep within a flooded cave in Thailand made the V-for-Victory sign Wednesday from their beds in a hospital isolation ward where they are recovering from the 18-day ordeal. That gutsy determination was on display Wednesday in a video taken from the hospital isolation ward. 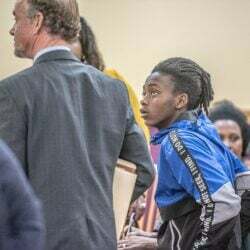 The boys, their faces covered by green surgical masks, flashed the V-for-Victory sign as they sat up in bed and chatted with their nurses, at times responding with the customary Thai sign of respect – hands pressed together while bowing the head. The youngest boy, 11, appeared to be asleep under a crisp white sheet. In this image made from video, three of the 12 boys are seen recovering in their hospital beds after being rescued along with their coach from a flooded cave in Mae Sai, Chiang Rai province, northern Thailand. 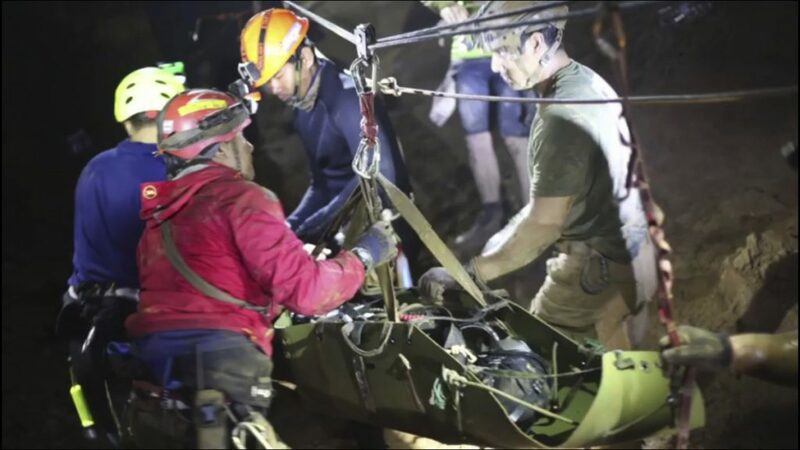 This undated photo from video released via the Thai Navy SEAL Facebook Page shows rescuers holding an evacuated boy inside the Tham Luang Nang Non cave in Mae Sai, Chiang Rai province, in northern Thailand.